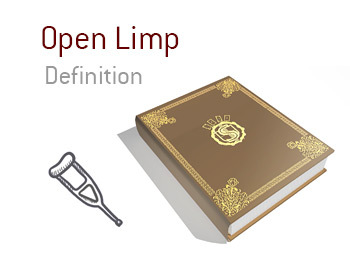 What is an "open limp" in poker? What is the definition of the term "open limp"? In poker, an "open limp" occurs when the first player enters a pot by limping in instead of folding or raising. For instance, let's say that you are playing in a friendly $1/$2 No Limit Hold'em cash game at your local casino. The first player to act folds and you decide to just call the $2. This is an "open limp" and is typically seen as a rookie play, as you are basically announcing that your hand is not strong enough to raise. Stronger and more experienced players tend to either raise pre-flop or fold, as it helps to disguise the strength of their hand. The problem with open limping is that you will have no idea where you are at in a hand. Let's say that you hold J-10 offsuit and you decide to open limp in early position. What happens if the button raises - what do you do then? If you decide to call, you have already committed a decent chunk of chips to the pot with a marginal holding, and you are out of position to boot. If the flop comes Q-Q-3, for instance, and you decide to check, you are surely going to fold to a bet from the button. For savvy players, an "open limp" can sometimes be a good way to disguise a strong hand, though this trick only usually works if they are playing with inexperienced players.